Any process that uses water as a resource, as well as stormwater run off, can be automatically tracked and reported using ERA’s environmental reporting software. Track your water management and determine how much water you use, which products are contained within your wastewater outfalls, and the details of your water sampling programs – all through one simple and centralized platform. Our environmental reporting tool gives you everything your business needs to comply with federal, state, regional, and other standards, including voluntary sustainability programs. At a glance, see your overall water usage, and check discharges to understand how your processes impact nearby bodies of water. Get the full picture on what happens to water utilized in your processes, including any chemical discharges which may be a result of business processes taking place on site. ERA’s software stores all your materials and process maps in a secure database and rolls this information up into comprehensive reports, include Discharge Monitoring Report (DMR) and other custom-made reports. Monitor depth of outfalls, temperature, flow rate, distance from the shore, storm water run-off (through pervious / impervious land and rainfall) and much more. Automated Reports Ready at the Touch of a Button – With ERA, your reports are fully automated and roll up all the necessary data for your regulators. Report generation is as hands-off as possible, streamlined to take as little time as possible, and references your centralized material/process maps to ensure data quality. ERA automatically connects your water tracking to your TRI reporting for streamlined and accurate results. Wastewater Treatment and Releases Tracking – The system tracks all wastewater that is shipped to wastewater treatment facilities (including which facility, date, containers, etc.) in addition to monitoring all releases to rivers, streams, and other bodies of water. Submission Ready and Customizable Reports – Built-in reports from ERA’s massive reporting library can be generated in a ready-to-submit digital format to upload for regulators via their e-reporting tools. No formatting and zero technical expertise needed – ERA handles it all. Reports can also be customized to suit your needs, including internal reports and specific queries. Sustainability Reporting and KPIs – Water usage and environmental impact is one of the most important sustainability program factors, and the ERA reporting and KPI dashboard is fully integrated with the water metrics that your sustainability program needs. View water usage, chemical discharges, and utility costs. 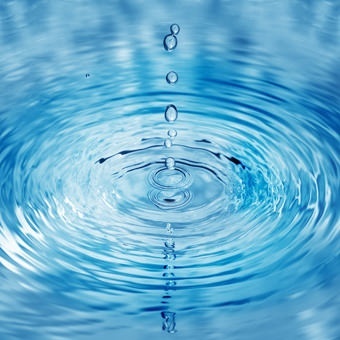 ERA’s water reporting tool, part of our complete environmental software platform, automates and streamlines your needs dramatically – representing an extremely useful water management system. Let us help you improve the accuracy of your reports while costing you less in terms of human resources and dollars. Automated reports roll up all your water data into comprehensive reports. See all your water and wastewater metrics at a glance to understand your outfalls and water usage. Full integration with other ERA compliance tools to keep your water management solution and sustainability programs on track.